The BBC has today reported that respected actor, Robert Hardy, has died. 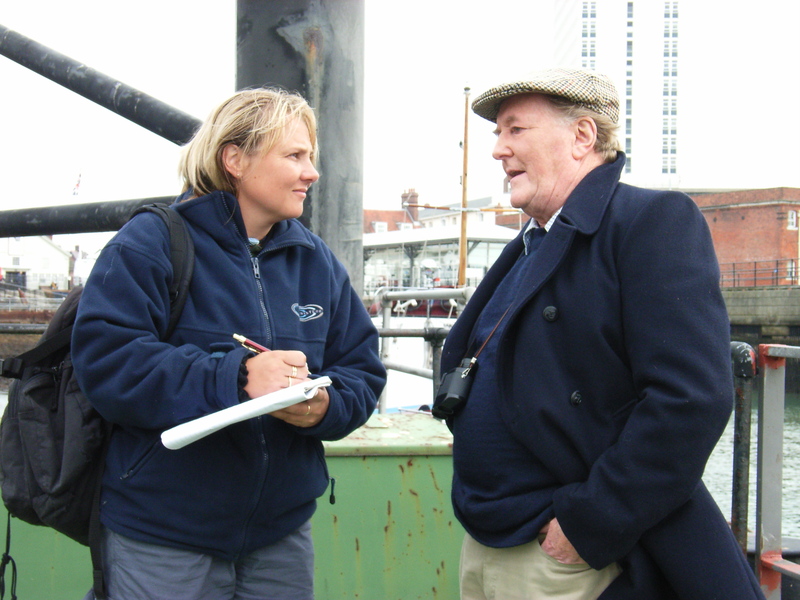 The author interviewing Robert Hardy on 11 October 2005, after watching the raising of an anchor from the Mary Rose site. Photo by Simon Mills. He starred in the television series "All Creatures Great and Small," and played both Winston Churchill and Franklin D. Roosevelt, each on more than one occasion. In later years, he was the Minister of Magic—Cornelius Fudge—in several of the Harry Potter films. Robert Hardy would also have a crucial career in maritime archeology. He developed an interest in medieval warfare that grew into a passion, all thanks to his playing the part of Henry V in 1960. 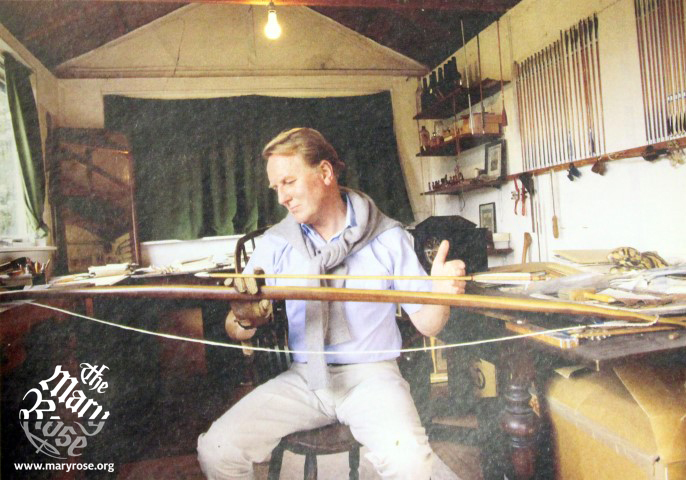 This very serious military historian became the preeminent expert on the longbow, the deadly weapon of Medieval England. This 6ft long bow was amazingly accurate at a distance of up to 350 yards. This is very sad news. Robert Hardy was one of our strongest supporters, and we're very appreciative of all the work he has done for us. The boat was filled with cynical press photographers and reporters. As we sailed out to the site where the Mary Rose sank, the atmosphere was changed on the boat. It lightened as almost to a man, the press corps shared their personal stories with each other as to where they were when the hull of the Mary Rose was raised on 11 October 1982. We had all been children at the time and had ardently followed the story of the Mary Rose on Blue Peter. Once the anchor was back on dry land in Portsmouth, I had the opportunity to speak to Robert Hardy. He was a stickler for detail. I learnt that you don't "fire" an arrow, rather, you "shoot" an arrow. The Mary Rose Museum has tweeted: "This is very sad news. Robert Hardy was one of our strongest supporters, and we're very appreciative of all the work he has done for us. RIP." Helen Bonser-Wilton, Chief Executive, The Mary Rose Trust stated, “We are greatly saddened by news of actor Robert Hardy’s death. He was a true gentleman and joy to work with. Robert’s work with the Mary Rose has been transformational as the leading specialist on the longbow. Without his enthusiasm, skill and knowledge of the craft of archery, the subject would be much diminished.